… to my webpage. I am the Professor for the History of Science at the University of Regensburg (Germany). I am the author of numerous articles, edited collections, and of two award winning monographs. My research centres around observational and visualization practices in the history of nineteenth and twentieth century science, whether these take the form of hand-made drawings or photography. Underwriting this interest, however, is my fascination with the invisible and neglected in the history and philosophy of scientific practices. Typically, when one broaches visual practices, the focus in historical and philosophical accounts remain the eyes, some ocular instrument (like a telescope or microscope), and the published  images. However, what remains invisible and neglected as a result of this dominant focus is entire layers of supporting conditions that make such practices possible in the first place; such as chairs, paper, glass, pencils, ink, and notebooks not to mention the tactility of these materials and the role of the hands’ gestures and performances. I am interested in the painstaking labor of science, where comfort and epistemology come into rapport and where assumptions about standards and best-practices emerge. It is in this back-stage-work that one finds lurking in the very furniture and cabinets of science, assumptions about the Other—whether non-western or emotional—that condition these processes of scientific work. So for instance I have recently completed a monograph on the cultural history of the astronomer’s observing chair, disclosing nineteenth century cultural and imperial assumptions built into its very image and function. At the moment, I am working on the history of astrophotography, again, from the perspective of the hand and paper, two things typically disassociated in photo-histories. This is an intellectual and cultural history showing how a set of assumptions initially formulated about ornamental artefacts and images--coming in from all over the world into Western Europe during the early nineteenth century--informed and shaped the use of visual images in the praxis of the Human and Mind Sciences later in the same century. I explore how an extensive discourse on the ornamental arts was a source of motivation and grounding for the use of images as revealing something unique about the operations or disorders of the human mind. Currently, I am finishing off a manuscript (The Astronomer’s Chair) that looks--for the first time--at the role of chairs in the history of science. With a focus on the astronomer's observing chair in the nineteenth century, I open up a host of issues touching on what images of seated scientists meant in face of heroic science; what a scientists' posture indexed to audiences; and what scientists from other cultures that did not use chairs imply for Western audiences in the nineteenth century. In addition, the chair in astronomy is a history about modernity and professionalization. It is a story about observation and imperialism as much as it is about how postures and chairs afforded a particular kind of science over others. 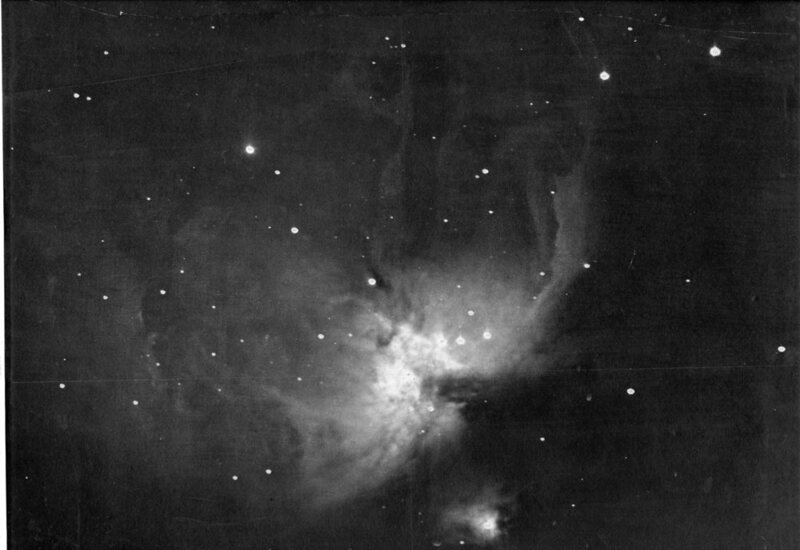 This project continues where my book Observing by Hand left off; namely, the investigation into photographing the nebulae. But far from dividing drawing from photography, this project seeks to make sense of the actual practices of photographing the heavens as I am unearthing them at the archive---practices that show photography to be fused and intermingled with other more traditional media, including drawing. This project proposes new categories for understanding photography as a hybrid medium in the history of science. A book about what the act of drawing contributes to knowing and seeing in an observational science like astronomy. I access these connections and contributions through a close study of unpublished and private observing books belonging to nineteenth century astronomers. The story told is as much about how mysterious and ambiguous objects like the nebulae were visualised and stabilised as phenomena as it is a story about the role of paperwork in science. In the end the book attempts to raise the status--through a close study of sketch-making practices--of instruments such as a pencil and paper for the history of science. This award-winning book deals with the ways in which Bertrand Russell was influenced by a major controversy that raged within English philosophy at the beginning of the 20th century. It shows how philosophers--some who have now been forgotten--helped Russell to give shape to his solution to the problem of the external world. Notions as central to analytic philosophy as 'sense-data' and 'logical construction' are re-interpreted in the context and framework of Russell's direct engagement with the is Edwardian controversy. Embedding Russell's philosophical work from the Edwardian period in this way also connects it to currents in late nineteenth century psychology and mathematics. A collection of essays in German that I co-edited (with Karin Krauthausen). This interdisciplinary collection brings together essays on note-taking and sketch-making practices. Leading scholars in the fields of comparative literature and art, history of science and mathematics contribute original essays addressing the connection between these practices and creativity, design, and knowledge-production. The book also contains a transcription of an exclusive interview with Hans-Joerg Rheinberger.